Following in the tradition of Italian power metal peers like Vision Divine, Labyrinth, and Rhapsody of Fire is Soul of Steel, releasing their second effort Journey to Infinity. 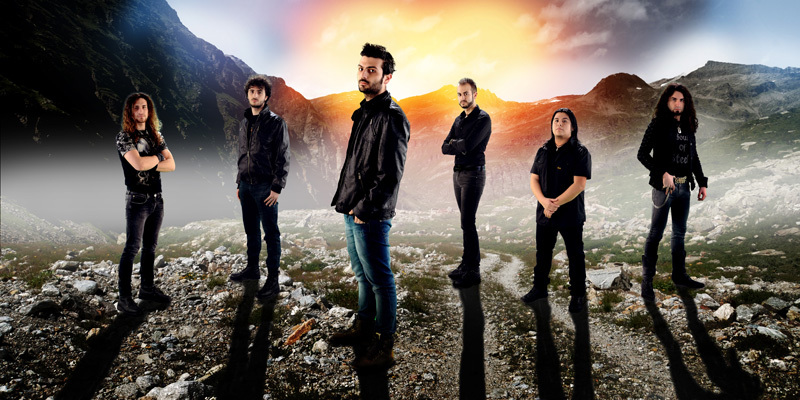 SoS effectively blends classic melodic heavy metal with power metal offering also some progressive and symphonic characteristics. Soul of Steel:: tall shadows. Your first reaction to that last statement might be, been there, and heard that before. Well, yes, you have, and I wouldn't fault you for some skepticism. I had my share, even as I give the album another spin as I write. Fundamentally, while having a traditional and predictable approach to the genre, Soul of Steel is quite adept in crafting and performing this music. The music is the best part about Journey to Infinity. Specifically, quite admirable are the piano parts in many of the songs, notable within Eternal Live, and also the synth and guitar solos throughout, sometimes playing off one another. Generally, as they should be in this genre, the arrangements are dense and bombastic with Through the Gates of Heaven, Neverland, and the title track as good examples. Some songs take this pattern and offer a more sophisticated arrangement like the aforementioned Eternal life, one of the better songs here. There's one duet, The Fallen Angel, with an unnamed female singer who trumps Gianni Valente's otherwise wholly bland vocals with ease. (The vocals and vocal arrangement are the weak point here.) Another duet comes on the bonus acoustic track of Last Desire featuring Roberto Tiranti (Labyrinth), where he only makes Valente sound better. Otherwise, if you like classic and predictable European, especially Italian, melodic power metal with some prog nuances, Soul of Steel's Journey to Infinity is the real deal. 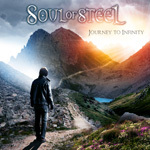 If you like classic, yet predictable, European, especially Italian, melodic power metal with some prog nuances, Soul of Steel's Journey to Infinity is the real deal.